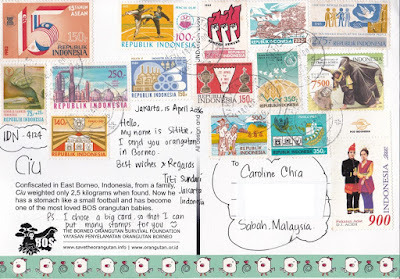 Postcard attached with 15 stamps ! being involved in collecting postcards since 7 years ago, this is my first time ever reciving a single postcard attached with 15 stamps on it! WOW ! 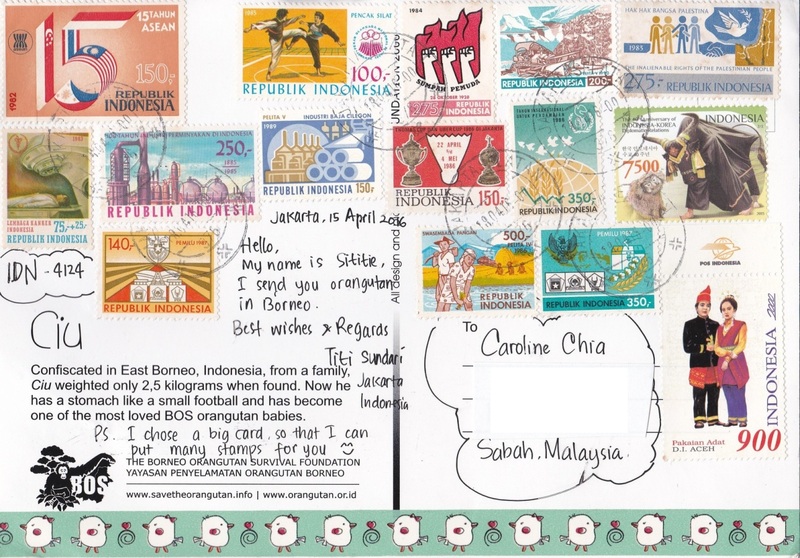 thats a great surprise indeed :) i'm smiling from ear to ear :) thanks a lot Titi Sundari from Jakarta Indonesia.